You have been working out with your friend for a while now. You both follow the same program, complete the same sets and repetitions and exercises, and yet, you see that he is making progress while you are not. It is frustrating and confusing, especially since if he is making gains on the same program, then you should be too, right? In reality, following the same plan as somebody else does not necessarily mean that you will make progress at the same rate. In fact, the program may not even be optimized for you. How to fix this? You need a customizable gym workout planner. The keyword in this is “customizable”. This means that you can tailor the exercises, sets and repetition to suit your personal needs and ambitions. It is not just a great addition to your training, it is a necessity. Even if your goal is the same as your gym buddy’s goal, you need to take into account your different bodies. Every person works in their own way. Some may find it easier to put on muscle, some may find it harder to burn fat, while some seem to progress faster than others. It doesn’t mean that you are not working as hard as the next person but that you respond differently to types of training. A customizable gym workout planner will help you take this into consideration so that you are covering all aspects that affect workout progress. This way, you are actually following a program that is contributing to your goals. Fitness progress consists of a lot of trial and error. It is difficult to know exactly what it is you need to do right from the start. A personalized program then gives you the freedom and ability to actually mix things up and switch exercises when you know that some things are just not working. Of course, it does sometimes take time to see results but after a while, if you know that you are not reaching your potential, then change your workouts. Use your workout log to know which exercises have been working great and which ones you could replace with better alternatives. Another reason to switch up your exercises is to avoid hitting the dreaded plateau. This is when you suddenly stop making progress, even if what you were doing was working before. When your progress stalls, it can be quite demotivating, especially if you had been hitting quite a stride earlier. Perhaps your body has become accustomed to the workout because it has gotten used to the same movements? There are various reasons for this. A way to prevent this is by switching up your exercises periodically. This will also keep things exciting and fresh, so you are not doing the same things over and over again. Talk about boring! 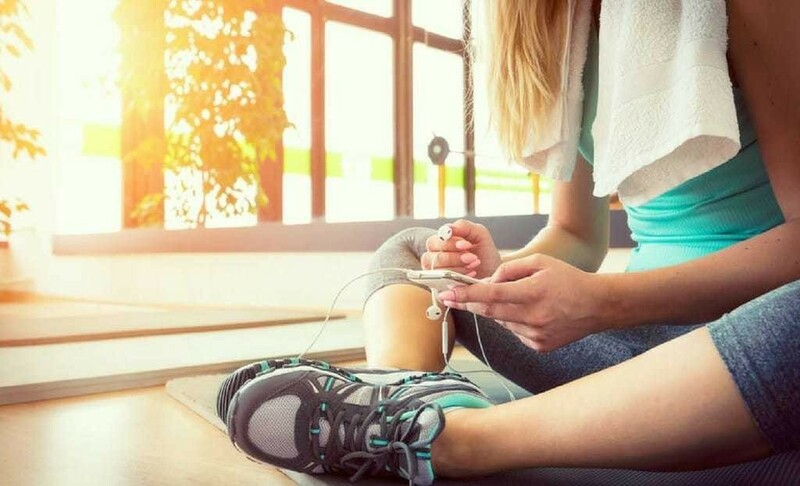 So, now that you know why a customizable gym workout planner is key, here are some ways on how to tailor your training regime to suit your personal needs. What are you trying to achieve? Are you trying to put on muscle or burn fat? Do you want to be able to deadlift 500lbs or bench 300lbs? By identifying your goals, you are giving yourself something to work towards. Also, by starting at the end goal, you can work your way back to the start and figure out what you need to do to achieve it. How Much Time Do You Have for Training? Every person has a different lifestyle and routine. Some people may afternoon/night commitments and so will need to sacrifice sleep for the gym every morning. Others may have 2-3 days off per week and so choose to smash out all their sessions in those 2-3 days. If you train fewer days, then the sessions that you do will probably be longer and cover more muscle groups than if you had your workouts spread out across 5-6 days a week. Knowing realistically how much time you can dedicate to training and when can assist in planning a schedule that not only you will be able to stick to but will help you progress. While it is important to train your entire body, the main exercises that you should do should be specific to your goal. Taking the deadlift goal for example. You may incorporate more Romanian deadlifts, sumo deadlifts, GHR sets than someone who has a goal to bench 300lbs. Identifying the best exercises to help you hit your goals will help you with your customizable gym workout planner. This is where people mostly become lost. There is no right or wrong answer, especially if you are just starting out. A basic rule is to start with 5×5, meaning 5 sets of 5 reps each. Then work your way around from there. If you begin to use heavier weights, then you typically will complete fewer sets and reps. If you are using lighter weights, then more reps can be added to your routine. The key thing to remember here is that fitness is a trial and error process, at least from the start. So try not to overthink everything. In fact, overthinking can actually paralyze you and cloud your ability to take action and start moving. Just go with the basics at first. You can always modify it later as you learn more about the workouts and your body. With something as flexible as a customizable gym workout planner, you can really stay focused on your own fitness goals and see the results that you want. 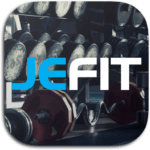 Jefit is a gym workout app that helps all gym goers and athletes plan and stick to their workouts on a regular basis. While there are already over 3500 complete training routines available, it also comes with a customizable gym workout planner. This way you can personalize your own regime that works with your specific fitness goals. What are other benefits to customizing your own workout plan? Let us know in the comments below, we would love to know!